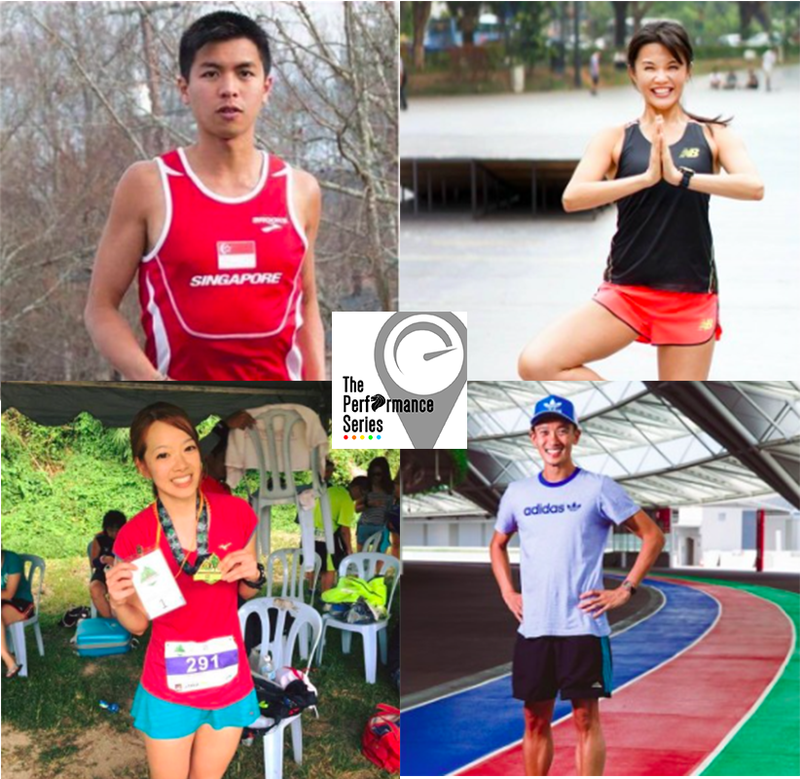 5 Primary Reasons Why Nobody Should Miss The Performance Series Race 3 @ Gardens By The Bay | JustRunLah! The Performance Series is a collection of five races that will take place at five iconic landmarks of Singapore. 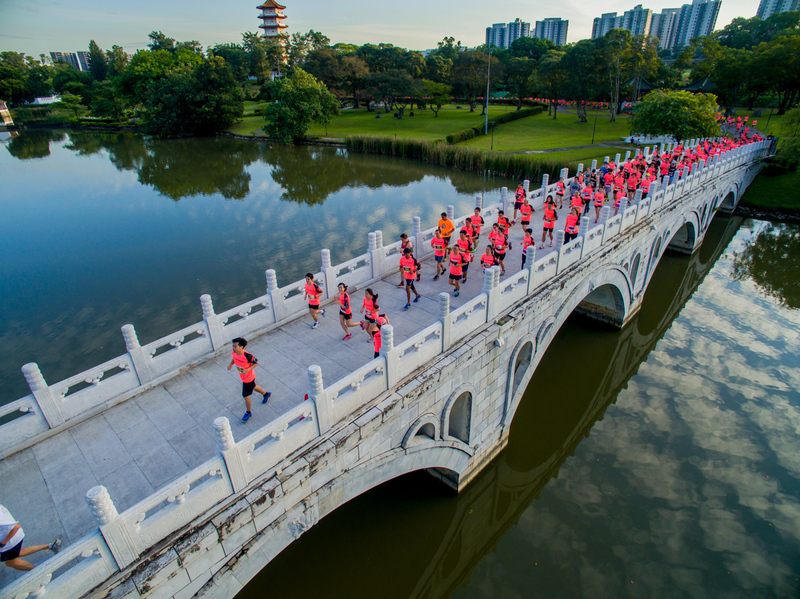 The series kicked off with the first race at Punggol Waterway and Coney Island, followed by the second race at Jurong Lake. The third race, which is upcoming, will be held at Gardens By The Bay! It’s time to purchase your tickets and start training for The Performance Series Race 3, which is slated for 7th August 2016. Here are some reasons why nobody should miss this race! This is the first reason because – well, we’re Singaporeans, and we all like a good deal. Runners for The Performance Series Race 3 are entitled to a pretty cool race pack, which consists of a themed race t-shirt, sponsor products/vouchers, an electronic certificate, and even themed commemorative medals that you can keep so that you can reminisce ten years down the road! The medal is uniquely designed to resemble the area of each race, so now you can own a piece of the actual route that you’ll be running! For those who complete all races of the series, you’ll be able to piece the medals together. 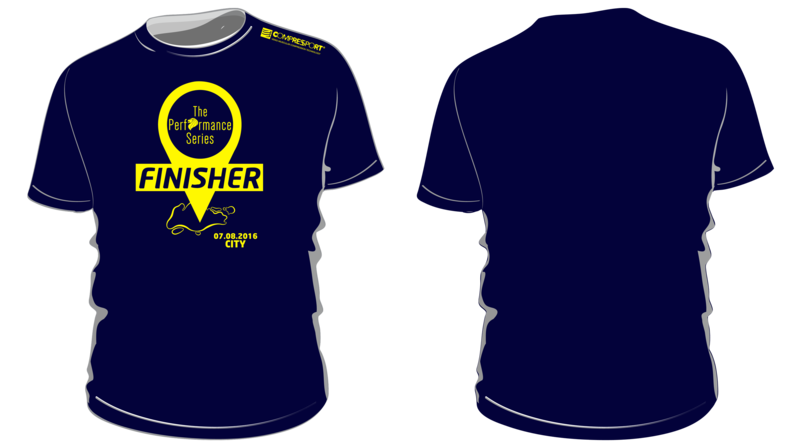 You also get a finisher t-shirt if you complete the 10km category. Race 3 Finisher T-shirt – A contrary combination of dark blue and bright yellow! 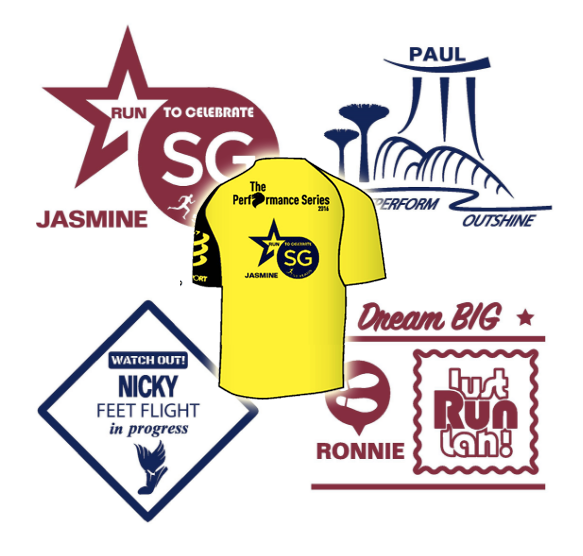 What’s more, you can personalise your race t-shirt and print your own message on the front or back, and even choose from 4 unique commemorative design templates. 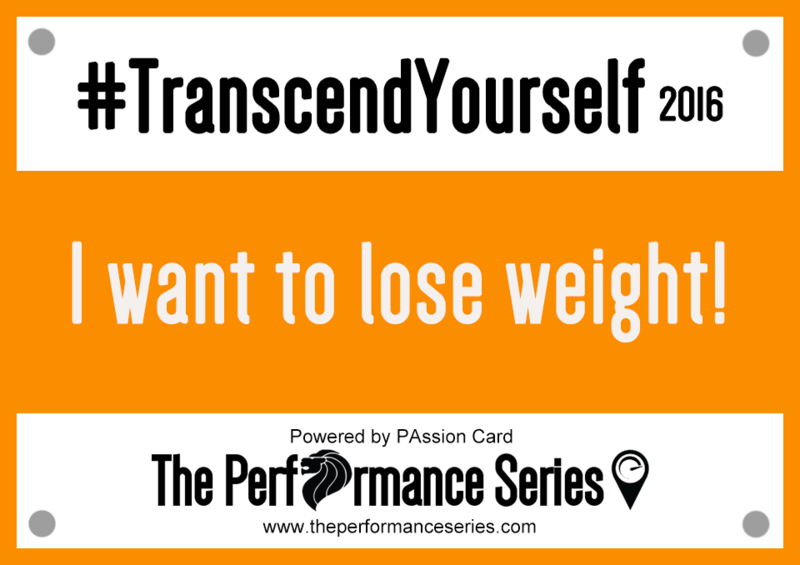 Let’s be honest here – the weight gain that is accompanied by the sedentary lifestyles that most of us lead is REAL. Running is a great way to counter that – and in order to get yourself extra motivated, sign up for this race and START training now with the eventual goal of completing within a certain timing! #3: Even marathon newbies can do it! For those who are new to races and marathons, this is an easy way of dipping your toe into the water without going the whole hog. There’s the 10km category, the 5km category, and even a 2.5km category which almost ANYONE can do. Come on – that’s only 100m more than the mandatory 2.4km that all of us did when we were in secondary school. Spot yourself in our next bundle of race photos! Depending on which category you’re signing up for, you’ll obviously be running a different route, but we have it on good authority that all three routes are really scenic! 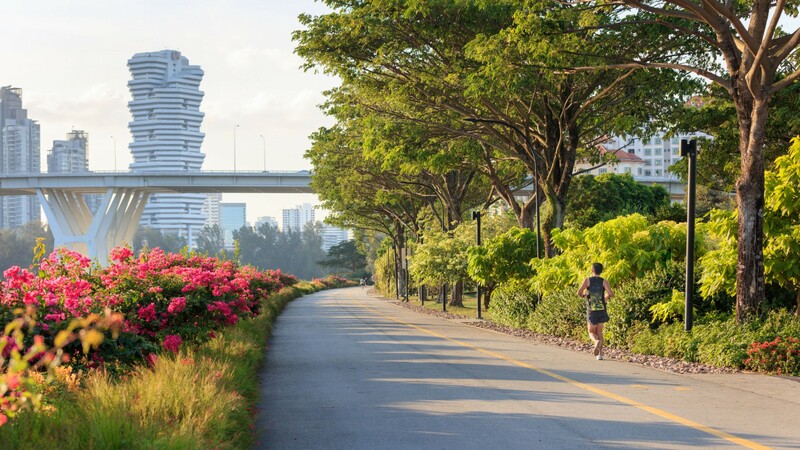 The Performance Series Race 3 is at Gardens By The Bay, meaning you’ll get a great view of the city skyline and the different sights around Marina Bay area. The beauty of nature and city at Gardens by the Bay. Did you know that there are four ambassadors for The Performance Series Race 3? You can read about their stories on the website – they are four dedicated, inspiring individuals who have achieved outstanding results in the marathons and triathlons that they’ve completed! Join the race to run alongside them and get inspired by them! Meet our ambassadors! – Top: Ashley Liew & Jenny Huang. Bottom: Yvonne Siew & Melvin Wong. Purchase your tickets quickly before they get sold out! See you there! 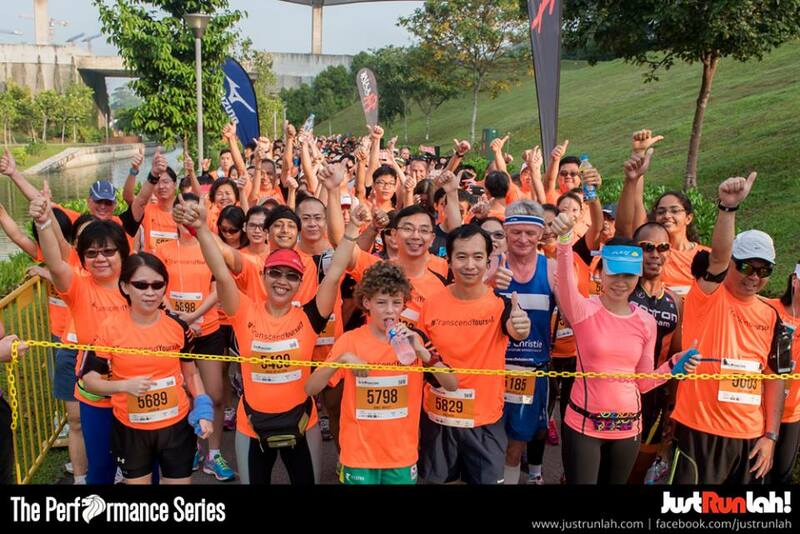 Click here now to register for The Performance Series Race 3 Gardens by the Bay now! BIO: Born, raised and living in the +65, Cherie will never migrate permanently due to her unwavering loyalty to sambal stingray and bak kut teh. She's tried her hand at zumba, salsa, bachata, rock-climbing, pole-dancing, with her most recent obsession being yoga. 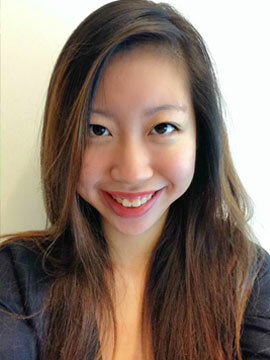 Click here for more post from Cherie Foo.